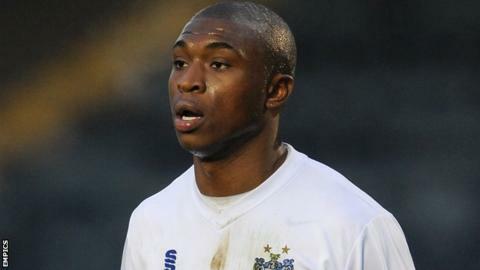 Tranmere Rovers have signed former Liverpool youngster David Amoo on a six-month contract. The 21-year-old, who came through Millwall's youth system, left Anfield for Preston in the summer. He was handed a one-year deal at Deepdale but his contract was terminated by mutual consent on Wednesday, despite the winger making 24 appearances this term. Amoo has previously had loan spells with MK Dons, Hull and Bury. Tranmere boss Ronnie Moore said: "He's a player I tried to bring in last summer and one I'm excited to have at the club. "He's got fantastic pace, he can beat players and he can score goals too. He can play out wide or up front and he gives us extra attacking options. "I'm still hopeful of adding more new faces to the squad as well over the coming weeks."